Silent Circle and Geeksphone have come together to build the new privacy based smartphone Blackphone. 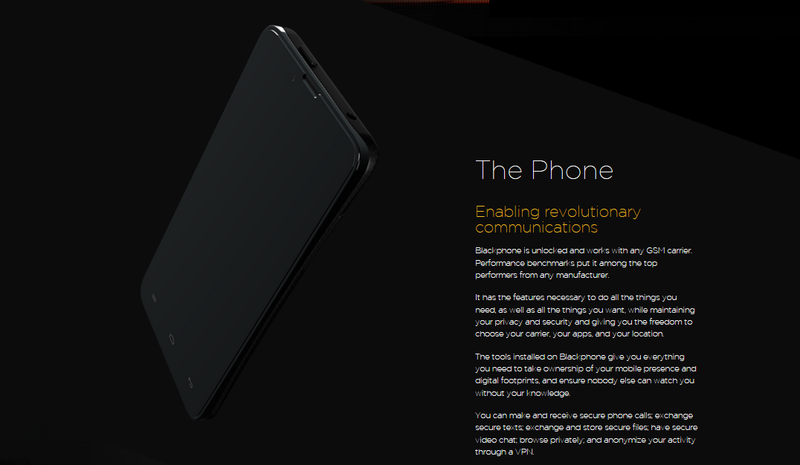 Blackphone is a phone dedicated to keeping users data private, safe, and secure. While Blackphone will be built off of Android, the open source mobile operating system, the phone will be completely dedicated to privacy. Blackphone will be the first of its kind. Mozilla has recently released their OS that is open source and built on freedom of the web. But Blackphone will be the only smartphone to date that will be dedicated to privacy. Silent Circle is the leading provider in encrypting, and peer to peer services. They offer encrypted phone calls, encrypted texts, encrypted and P2P video chat, amongst many other products. Silent Circle is the leading provider in encrypted communications. At one time Silent Circle offered an encrypted email service, but when Lavabit shut down instead of leaking users data, Silent Circle immediately took action. Silent Circle deleted all emails, and email accounts using their service. This was to be sure the N.S.A. could not request data or gag their company. Since Silent Circle was intent on keeping users data private and safe, they had to delete their services unknowingly to do so. With a company such as Silent Circle behind this phone, it will be revolutionary. The Blackphone is begin built by hackers, top cryptography experts, amongst many others. The Blackphone will be a smartphone for hackers, and a smartphone for an average privacy conscious consumer. With such a brilliant team working on the Blackphone, the Blackphone will be the only real smartphone solution. The Blackphone will be a true innovation to commercial smartphones. When the new phone arrives on the market it won’t just be another smartphone. This will be a privacy/N.S.A. proof smartphone. This will be a defense against the N.S.A., government agencies, and anyone else that wants to spy and harvest smartphone users data. As of the moment, the full data on what the Blackphone will entail has not been released yet. The Blackphone will be the next step in mobile privacy and security. With two amazing companies based on privacy and open source projects building the phone, it will be a true first. The Blackphone will revolutionize everything in the mobile world. The Blackphone will be the N.S.A. proof smartphone.